The Metropolitan Basketball Writers Association’s prestigious Haggerty Award will go to a St. John’s student-athlete for the second straight year. Sir’Dominic Pointer was named New York City’s collegiate player of the year on Wednesday, becoming the 22nd player in program history to receive the award which is named in honor of St. John’s basketball and baseball star Lieutenant Frank C. Haggerty. Pointer will be recognized tonight at the 82nd NIT/MBWA All-Met College Basketball Awards Dinner in Tarrytown, N.Y. It is the 26th time a St. John’s student-athlete has won the Haggerty Award. D’Angelo Harrison, the 2014 Haggerty Award recipient, took home his fourth-straight All-Metropolitan award earning First Team honors for the third time in his career. Phil Greene IV was also named to the All-Metropolitan Third Team. Pointer was named the BIG EAST Co-Defensive Player of the Year and the conference’s Most Improved Player after a memorable 2014-15 campaign. He became only the second St. John’s player to receive each of the awards joining Mark Jackson, the 1987 BIG EAST Defensive Player of the Year, and Dwight Hardy who received Most Improved Player honors in 2011. The 6-foot-6 senior from Detroit was an All-BIG EAST Second Team honoree who ranked 10th in the conference in scoring (13.7), fourth in rebounding (7.7), third in steals (1.9) and third in blocks (2.4). Pointer was second in the BIG EAST in double-doubles, recording his ninth of the season in the NCAA Tournament versus San Diego State with game-highs of 21 points and 10 rebounds. 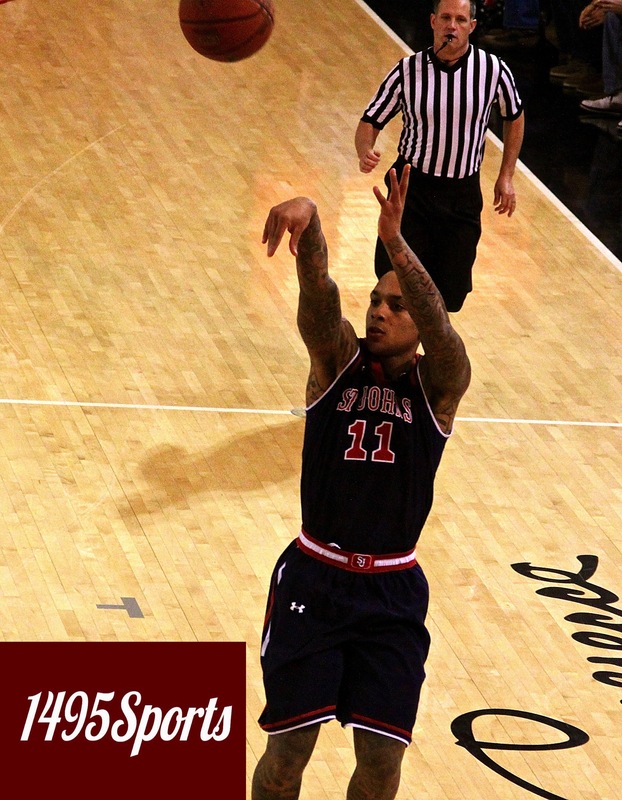 Pointer became the 50th St. John’s player in program history to record 1,000-points. He also finished his career in Queens ranked third in St. John’s history for career blocks (172) and fifth in steals (200). No other player in St. John’s history ranks in the top five of both charts. Harrison was named First Team All-BIG EAST for the second straight year after finishing second in the conference averaging 17.5 points per game. He finished his four-year career at St. John’s third on the program’s scoring list with 2,178 points and ninth in BIG EAST history with 1,178 points in conference games. He will graduate as St. John’s career leader in 3-point field goals with 264. The 6-foot-4 guard from Missouri City, Texas, scored double-figures in 30-of-33 appearances in 2014-15, including 14 20-point performances and three 30-point efforts. Harrison was eighth in the BIG EAST in free-throw shooting percentage (.799) and sixth in 3-point field goals per game (2.0). Harrison was named a Senior CLASS Award Second Team All-American, while collecting First Team NABC District 5 and USBWA All-District II honors. He competed in the NABC Reece’s Division I College All-Star Game and was named to the Portsmouth Invitational All-Tournament Team after averaging 17.3 points, 7.7 rebounds and 5.7 assists in three games in the annual event for the nation’s top seniors. Greene IV collected All-Metropolitan Third Team honors. He registered the 11th highest scoring average in the BIG EAST with a career-best 13.0 points per game, while finishing second in the conference with a 39.1 3-point field goal percentage and 1.9 threes per game. 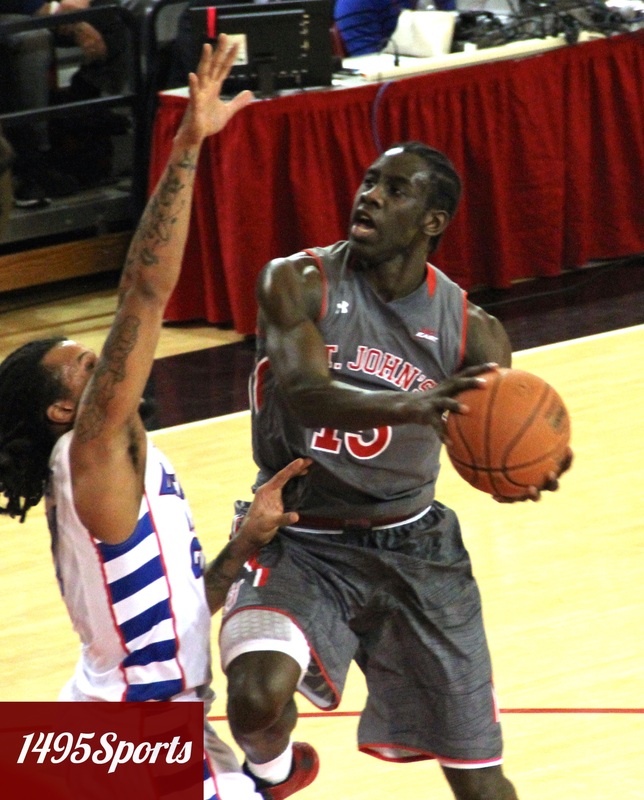 Greene IV was one of two St. John’s players to start all 33 games and he scored in double-figures 22 times. The Chicago native elevated his play against BIG EAST competition with a 13.3 scoring average and a 40.0 percent 3-point field goal rate. Greene IV was named to the BIG EAST Weekly Honor Roll on Jan. 19 after averaging 18.5 points and 4.5 rebounds in two conference games. One of his top performances of the season came on Jan. 14 in an 83-70 win at Providence. Greene IV scored 20 points and buried five 3-pointers against the Friars on a night he joined the 1,000-point club. His marquee performance was on Feb. 28 when he exploded for a career-high 26 points and six 3-pointers en route to an 81-70 Senior Day victory over Georgetown at Madison Square Garden. Greene IV moved to 29th place on the program’s career scoring list with 1,243 points, and he is fifth all-time with 138 threes. 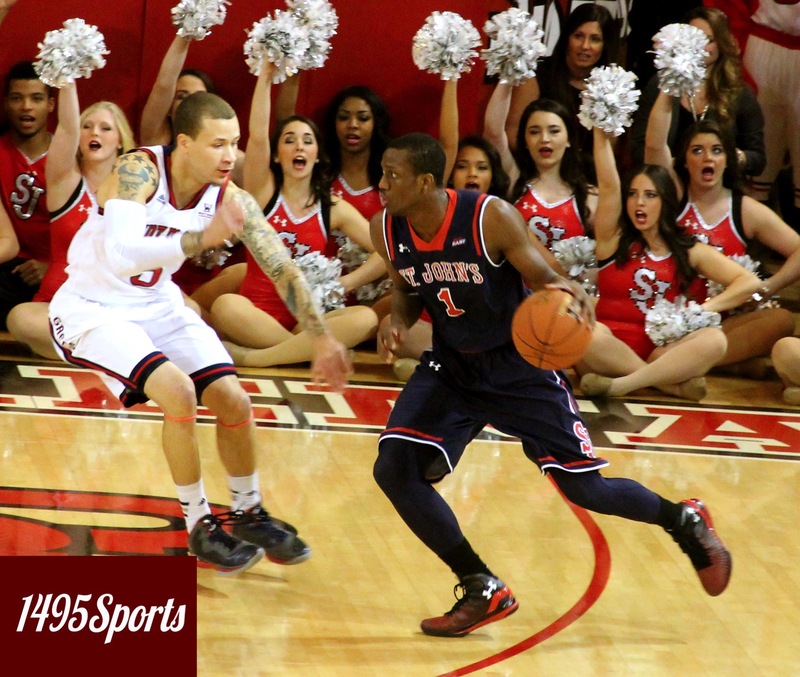 The 6-foot-2 guard started 121 of 130 career appearances in his four years at St. John’s.